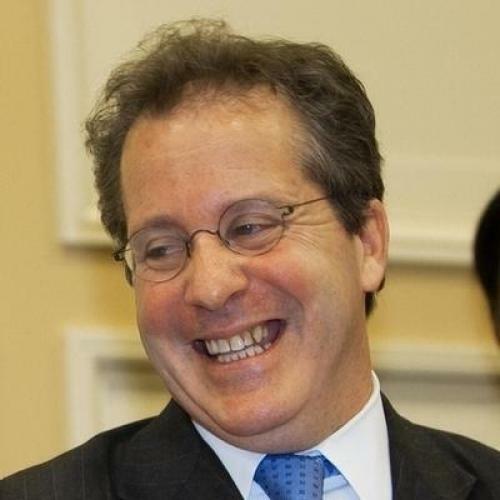 If you’ve spent much time talking to Treasury officials over the past two years, you’ve probably heard them joke that Gene Sperling, a counselor to Secretary Tim Geithner, is the department’s in-house populist. What makes this funny (insofar as wonk humor can be funny) is that Sperling isn’t exactly your classic pitch-fork wielder. He was director of Bill Clinton’s National Economic Council (NEC) in the late ‘90s, a period when the White House got pretty good marks for its understanding of business and the broader economy. But as Sperling often speaks up for the little guy in internal deliberations—he was one of the administration wonks most concerned about executive pay, and he argued passionately for saving Chrysler—there’s certainly enough truth to the label to make it stick. Which of these images better fits the man who could become Barack Obama’s chief economic policy broker? As it happens, Sperling’s name has come up in a number of conversations I’ve had with admnistration officials while reporting an unrelated piece these last few months. I think I can offer some insight. The Huffington Post bases its concerns about Sperling on two broad data points. The first is that he made over $1.5 million in consulting fees from various financial services companies in the 13 months beginning in January of 2008, including almost $900,000 from Goldman Sachs. The second is that he was NEC director while the Clinton administration helped deregulate the financial sector in the late ‘90s. Of course, that only tells us what Sperling wasn’t involved in. What about his instincts when he did work on issues of interest to Wall Street? This is the question my recent reporting has shed some light on. Sperling turns out to be the Treasury official who was most influential in helping persuade Geithner to embrace a fee on large financial firms to make the government whole after TARP, the vehicle for its various bailouts. The president unveiled the 10-year, $90 billion fee in January of 2010. Wall Street promptly howled. The whole process began late in the summer of 2009, when Sperling seized on the fact that that the law establishing TARP required the government to recoup any un-repaid funds by 2013. His view was that, rather than put off the moment of reckoning and hope it went away, Treasury should demonstrate its commitment to holding Wall Street accountable. The added beauty of a fee leveled annually for 10 years is that it could create both a precedent and an infrastructure for a tax on big banks—which would help discourage them from ballooning in the first place, something most impartial observers agreed was useful. This, and not just the money itself, was presumably what got Wall Street so exercised. There’s one other element of this that came up in my conversations with several administration officials: As the administration fleshed out the idea during the fall of 2009, the economic team focused on two basic approaches. The first was to levy the tax on certain bank liabilities—basically, their debt. The second was to levy it on profits (along with compensation above a certain threshold—the idea being to prevent banks from finagling a lower tax by converting profits into compensation). Sperling and several administration economists favored the latter, which had the advantage of simplicity (the IRS could calculate it relatively easily), but which was likely to provoke an even harsher reaction from Wall Street. The administration eventually went with the liabilities approach, which required regulators to make a relatively complex calculation, but was a bit more narrowly targeted at the behavior you'd hope to discourage (i.e., taking on a lot of debt to fuel growth) and would be an easier sell to foreign governments, with whom it would be important to coordinate. It’s worth noting that, once Geithner decided to go this route, Sperling, who was overseeing the process internally, shifted gears and helped get the proposal out the door quickly—the kind of quality you’d want in an NEC director. Long story short: This hardly strikes me as the profile of a man out to do the banks’ bidding. Sperling may not be the kind of populist who makes the average HuffPo reader swoon. But I doubt his record as a policymaker inspires much chuckling on Wall Street. Noam Scheiber is a senior editor for The New Republic and a Schwartz Fellow at The New America Foundation.